STOP. 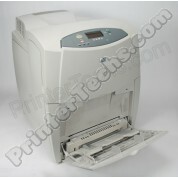 Many companies sell what they claim are “refurbished” printers. Is the refurbished printer you are thinking about buying REALLY refurbished? Our technicians speak. What makes our laser printers outlast the competition? 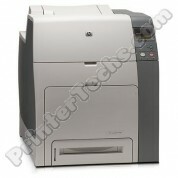 The HP Color LaserJet 3600n series is a medium-sized, speedy color printer, perfect for a small office. Our refurbished 3600n includes a 250-sheet cassette paper tray and a built-in Ethernet port for connecting the printer to a network. 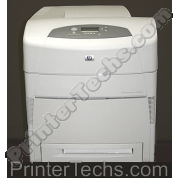 The HP Color LaserJet 3800dn series is a medium-sized, speedy color printer, perfect for a small office. Our refurbished 3800dn includes a built-in duplexer for two-sided printing, plus a built-in Ethernet port for connecting the printer to a network. Comes standard with a 250-sheet cassette paper tray, plus a 100-sheet bypass tray. The HP Color LaserJet 3800n series is a medium-sized, speedy color printer, perfect for a small office. Our refurbished 3800n includes a 250-sheet cassette paper tray and a built-in Ethernet port for connecting the printer to a network. HP's Color LaserJet 4650DN makes an effective and efficient choice for office workgroups. Features include automatic duplexing and a network card. 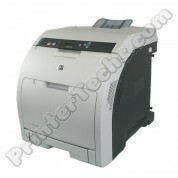 Toner is relatively inexpensive for this model. We use a 4650DN model as our office's color LaserJet printer. 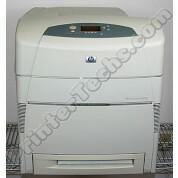 Out of stock -- see the LaserJet 4650DN or 4700DN instead. Call us with any questions, 866-352-7108. HP's Color LaserJet 4650n is a reliable workgroup printer, with low toner costs. This model includes a network card. The HP Color LaserJet 4700dn series is a large, speedy color printer, perfect for small workgroups. Our refurbished 4700dn includes a duplexer for two-sided printing, plus a built-in Ethernet port for connecting the printer to a network. This is a large printer; ships on a pallet via freight. The HP Color LaserJet 4700n series is a large, speedy color printer, perfect for small workgroups. Our refurbished 4700n includes a built-in Ethernet port for connecting the printer to a network. This is a large printer; ships on a pallet via freight. 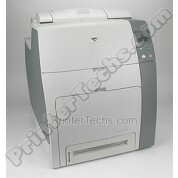 The HP Color LaserJet CP3505dn series is a medium-sized, speedy color printer, perfect for a small office. Our refurbished CP3505dn includes a built-in duplexer for two-sided printing, plus a built-in Ethernet port for connecting the printer to a network. Comes standard with a 250-sheet cassette paper tray, plus a 100-sheet bypass tray. © 2019 PrinterTechs.com Inc. PrinterTechs and the PrinterTechs logo are trademarks of Printertechs.com, Inc. and may not be used without advance written permission of PrinterTechs.com, Inc.